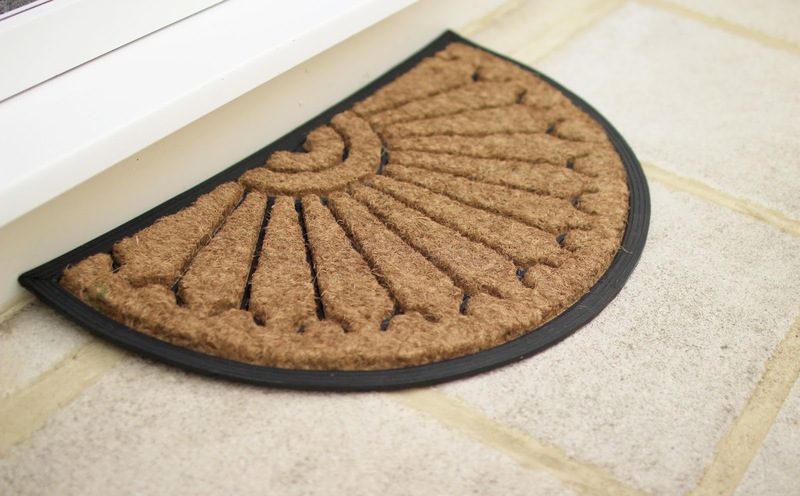 Whilst working on our house I have to admit we’ve not really focused on the outside appearance at all we usually focus on the inside but the other day whilst standing at my front door I thought to myself this area needs a mini makeover! 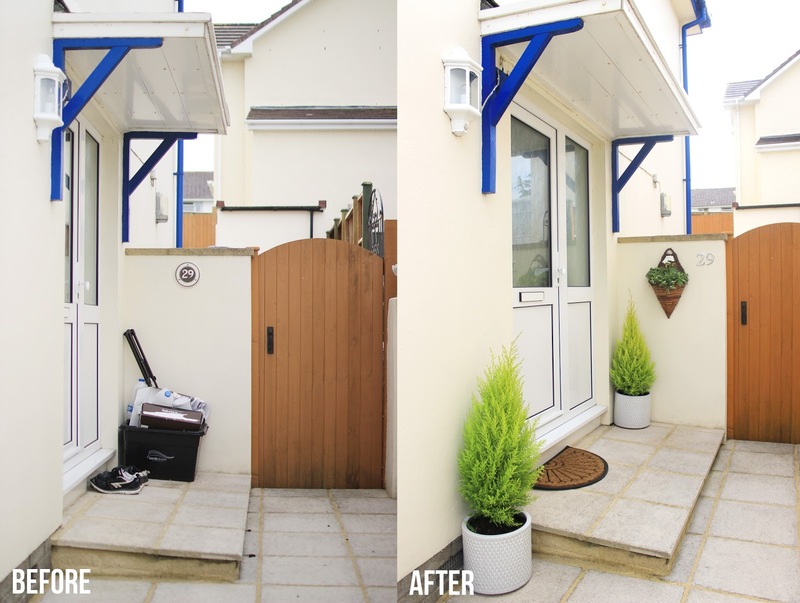 Mark and I headed to Homebase this weekend and got shopping, we wanted to add a little bit of colour to the area and have a general tidy let me show you how we got on giving our porch a 60 minute makeover! As you can see before it was looking rather trashy shall we say? We had our recycling bin outside the door along with a pair of Marks work trainers and just general rubbish. We have now moved the recycling bin and emptied it you’ll be glad to know, and gave the area a little spruce. I started off by just giving the area a general sweep and tidy, I washed down the door and got the area ready for it’s shiny new pots and plants. Mark took down our old house number, it was a little dated so we switched it up for some chrome numbers and I think it looks really smart. 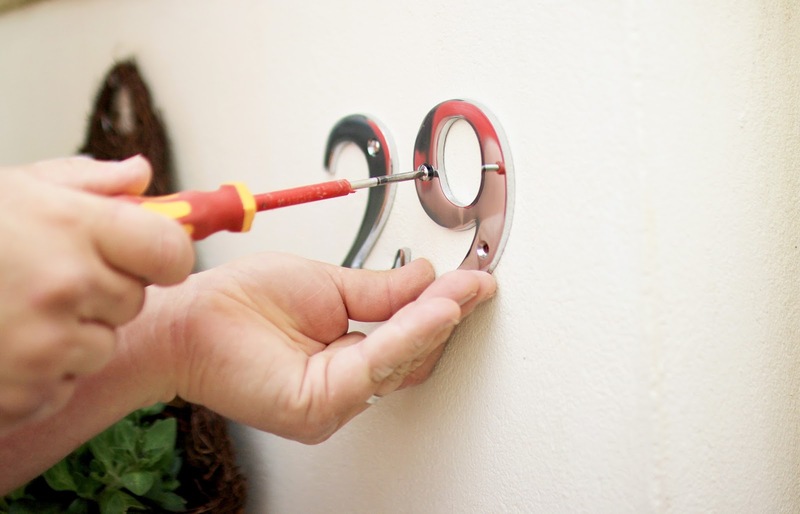 Where the old numbers used to hang we used the same hole and screws to hang our new wicker wall basket which I adore! Mark didn’t want to have two hanging baskets above our porch as he thought he’d bang his head on them so we opted for this one you can hang on the wall and I think it looks gorgeous, I’ve never seen ones like this before it looks fab. As you can see the hanging basket looks gorgeous and we also added this Half Moon Door matt to the front door area just to tie everything together, the colours all go really well and I’m so please with the results. 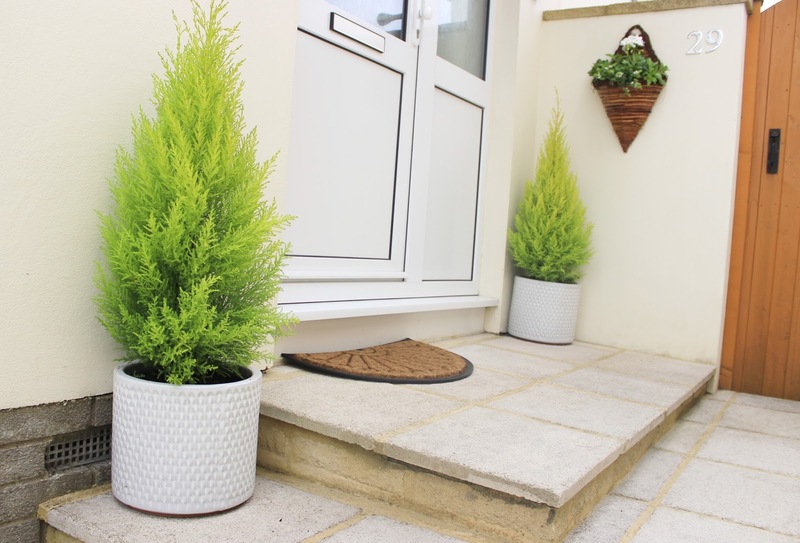 The last bits we added to complete our transformation were two small Cypress Plants which were about £15 each although Homebase had 15% off for the bank holiday weekend and they ended up being around £12 after the discount. Finding pots for these were pretty easy there was such a huge selection, in the end we went for these which are called the Livorno White Garden Planter they came in a couple of other colours like purple and green but I love the freshness of the white and how much it brightens up the area. Overall I’m so please with our 60 minute makeover I can’t believe we managed to to it all for just under £100, it looks great and I’m even more excited to get started with our Garden now although that seems like a huge project compared to this, I still can’t wait to get started and will definitely have to share that on the blog once we’ve completed it. What do you think of our new porch area?